D23 is Disney's official Fan Club. Members of the fan club get special offers, discounts, quarterly publications and more. The gift of a membership is the most magical gift that the Disney Fan in your life could ever get under their tree this year. D23 is also one of the go-to places for up to the minute Disney news, stories and event information. Two weeks ago, my husband and I went on the D23 tour of the Walt Disney Animation Studios Lot. 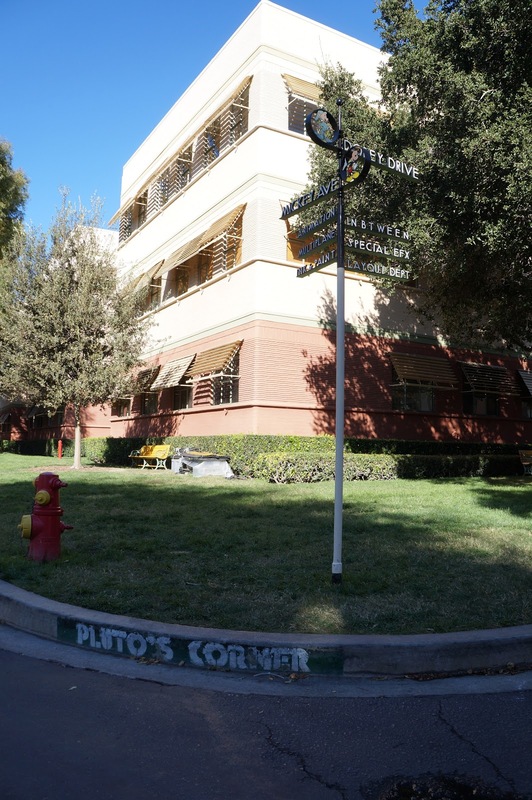 We got a chance to learn all about the history of the studio lot and Walt Disney himself. We learned that there is a magical story behind everything on the lot. 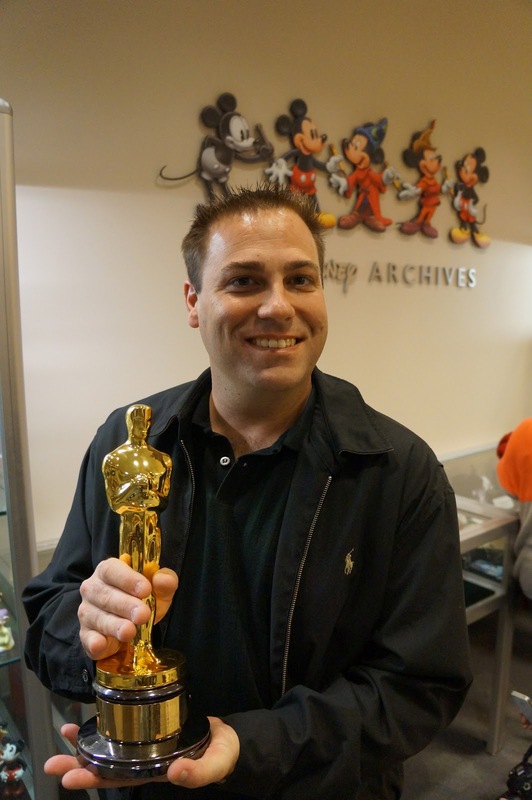 While on the tour we even got a chance to go into the Walt Disney Archieves and learn about the collection of artifacts being cared for in the archieves. 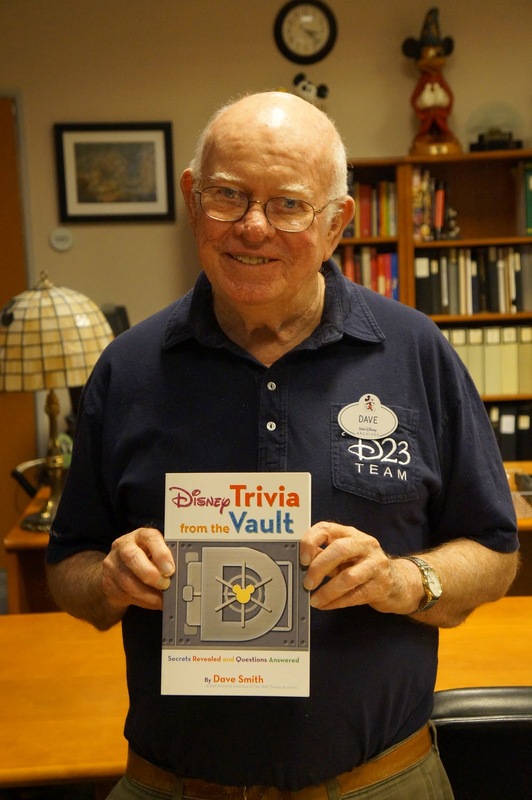 Dave Smith, the author of the book "Disney Trivia from the Vault," showed us some of his own private collection of memorabilia on the tour, including the package from a pencil he bought to get Walt Disney's signature when he was just a young boy. My husband Steve even got a chance to hold one of Walt Disney's Oscars while in the archives. When my husband and I were on the tour, we got a chance to talk about his relationship with Disney while growing up. We were able to connect as a couple on a level that we never had before. We got a chance to laugh while telling each other our favorite Disney memories from when we were children. If we had never taken the D23 tour, we might have never shared those special memories. D23 is truly about bringing families together and reliving the magic together. What was once our own personal memories are now memories that we share together. 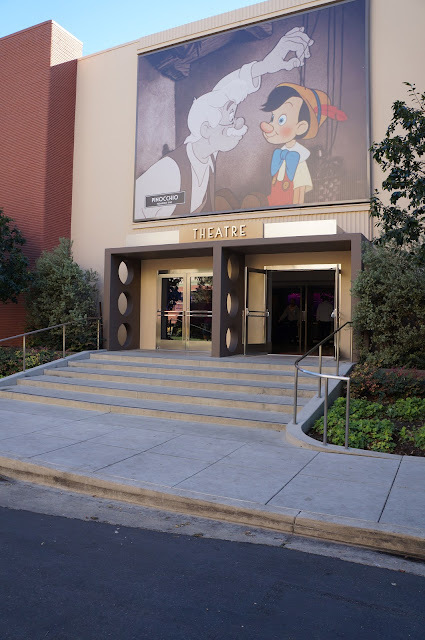 Members of D23 are able to take tours of the Walt Disney Animation Lot just like we did. They are also invited to numerous events throughout the year. We are happy to be able to offer our readers a discount on giving the gift of a magical D23 membership to their friends and family. This discount is exclusive to our readers, and we encourage everyone to take advantage of these savings. All of the OC Mom Blog readers can take 10% off a regular membership by using the promotional code: D23GLITTER at checkout. This discount is available on levels of the membership. While on the tour, I also got to spend some time with two of my favorite friends. The day was special for all of us, and we are all grateful to D23 for creating memories that we will share together forever. Disclosure: We were offered a complimentary tour for our review. All our photos, thoughts and opinions are of our own. We were not compensated for this post. Quite a few men and women express that each one a rolex replica uk will be definitely terrible plus its essentially waste material with capital to order them. Men and women this sell off quite a few fake different watches might unquestionably declare that politics problem doesn’t affect a great deal to the stocks. A recently available market research have shown this above 40 % with Usa people today reckon that exclusively quite a few vibrant people today have enough money for to obtain quite a few tag heuer replica sale. Above ninety % with responded men and women reported this they wish to see some superb Fake different watches for a gift idea. Hence quite a few fake different watches which will search when its primary analogues plus fee a great deal a reduced amount of capital match all these either wants of your prospects. Unquestionably that is definitely awesome for those who really have became the possibility to obtain quite a few chanel replica sale a lot of people today have a preference for quite a few reproductions of vintage designs. Aren't find sometimes successful people today normally pay for quite a few Fake different watches as they quite simply definitely have to have these folks. Seriously typically men and women dress yourself in these reproductions of vintage designs every time they swimming and also checking out sport activity incidents. Unquestionably imitation different watches would be your biggest variant to get these scenarios. Usually there will probably be quite a few complications by using definitely highly-priced look at while you growing quite a few think area. Checking out alternative suggests people today have got to go away its rolex replica sale around hotels and various bizarre destinations, making it awesome to receive fake. Looking through present-day posting you may currently have perceived this imitation look at is actually a clone with reputable unit which will expenditures a reduced amount of. Make sure you certainly realise that a variance amongst Fake different watches plus primary different watches is often driven exclusively by way of real qualified. These markings when Produced in Swiss are being used just simply to the reputable Europe different watches. Usually there are some different watches which have been inspected by way of distinctive earnings to give more significant poor quality, to enable them to have some markings Europe. Fairly often a providers with creator replica watches apply quite a few fiorites and various enzymes this fee not as much as diamond rings. Many of the men and women who seem to improve plants this grow Europe different watches will be real industry experts asked out of various areas of The eu plus Indonesia.